Great new design featuring the lastest colours with fully coordinating accessories. Cold machine wash in mild detergent, do not bleach, line dry in shade. May be tumble dried, warm iron if required. J&M Pilbeam Textiles was founded in 1971 by John and Mary Pilbeam and is a family owned business based in Abbotsford, Victoria Australia. 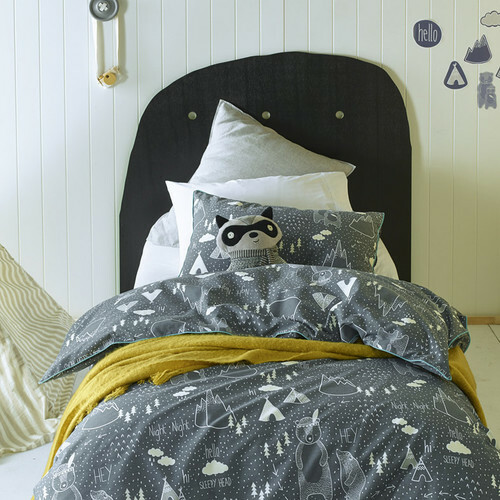 Specialising in homewares J&M Pilbeam Textiles produces an extensive range of children’s bed linen, towels, hand towels, facewashers, throws, cushions, candles, baby accessories, soft toys and coordinated gifts. 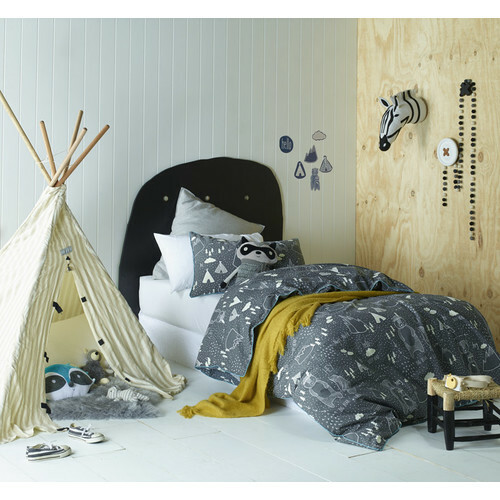 When you buy a In the Woods Quilt Cover Set online from Temple & Webster in Australia, we make it as easy as possible for you to find out when your product will be delivered to your home in Melbourne, Sydney or any major city. You can check on a delivery estimate for the Pilbeam Textiles Part #: 4820 / 4821 / 4822 here. If you have any questions about your purchase or any other Quilt Covers product for sale our customer service representatives are available to help.Whether you just want to buy a In the Woods Quilt Cover Set or shop for your entire home, Temple & Webster has a zillion things home.